The two then became three. “No!” the man cried. “We live in a one bedroom town home. There is no room for any more.” He was just finishing graduate school and the woman was working hard building her career. “Fine. But we’re just looking.” The man conceded. An ad in the newspaper caught their eye one weekend. Yellow lab puppies available it stated. “Let’s just go and look.” The woman said with a twinkle in her eye. So off in their new vehicle they went, outside the bright city lights to a farm where a lovely woman took them to a clean, warm barn. Two puppies were rolling around in their mother’s large kennel. The father stood in a separate kennel, large and muscular showing his teeth as the couple approached but with his tail wagging in greeting. The female lab was smaller, fine-boned and gentle. “These are the parents.” The farmer’s wife smiled at the two dogs with love and nodded to the dad. “He’s a big baby, he just likes to show off.” She opened the kennel door and the two puppies came out with boundless energy. The woman sat on the ground observing the two. One was chubby and after running over for a sniff proceeded to nip at her fingers and nibble her shirt. The other was smaller and jumped into her lap bouncing up licking her face before sitting for a moment in her lap. “This one.” She said hugging the smaller one regarding his large brown gentle eyes. “He’s the runt of the litter.” The farmer’s wife warned. From that day forward, Jake was theirs. Wilhelm the cat was not happy but they learned to live together. Wilhelm would swat at his nose every once in a while to remind him he was there first and Jake never minded. Jake was the cutest puppy and all that saw him cooed over the new addition. He never destroyed furniture. He potty trained with ease. He was never aggressive but, he hated being alone. He hated it so much so he would follow the woman everywhere, even to the bathroom. So the couple got used to having him with them in all the places they went and if they couldn’t be with him, they had family members, dog walkers and sitters along the way to ensure he was never alone for long and the four of them lived happily together. 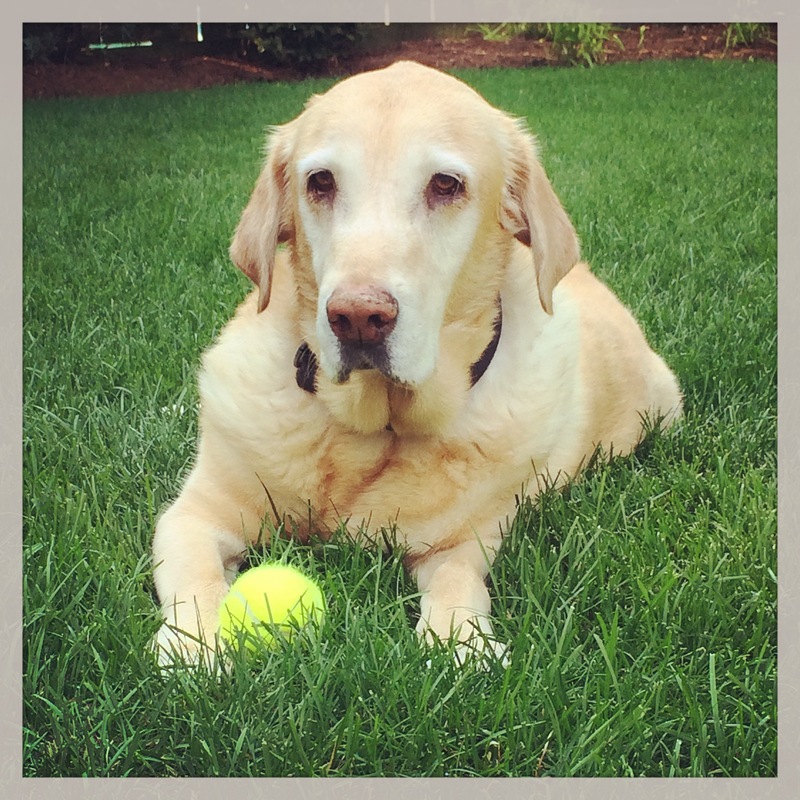 Jake grew up to be a gentle, quirky dog. Like most labs his nose was to the ground sniffing everything and he never turned down any food. Garbage, leftovers, his own food, other dog’s food, dead animals, he would eat anything except raw vegetables. He hated raw vegetables. He loved chasing small animals and the family would never forget the time he found the rabbit’s nest in the backyard. He would carry huge tree branches on walks and loved heading to the lake to get his feet wet. He rarely barked or growled only when the man was not at home it became his job to ensure that people knew he was there and the woman wasn’t alone. Although the couple would joke his big bark, similar to his dad’s bark, would cease the moment a robber patted his head or gave him a treat so he would never be a true guard dog. He just loved people too much and believed most people coming to the house, were there to see him. But his love of people was one of the reasons everyone loved him. Time went on and the family grew. Wilhelm got sick one night and passed away. The woman was very sad so Jake made sure he stayed near her to let her know he was still there. Over the next eight years, three human babies joined the family. Each one was a mystery of new smells and rules and Jake would sigh, “Another one?” But then he would accept the new addition, never complaining. He would bide his time trying to make life as easy as possible for the new parents who did not sleep and were cranky. He would still try to sneak on the bed to sleep but one by one the kids took over and his legs wouldn’t allow him to jump up any longer so instead he created a place beside the bed that was his alone. One day he got a brand new comfy bed that was only his and that made him happy. But every morning he would awaken the man or woman with his head laying near their faces waiting to go outside so they wouldn’t forget he was there too. The kids got older and they started playing with his ears and accidentally poking his eyes and he never minded. He liked the extra attention. They helped feed and walk him and to his delight he realized they dropped food on the floor! Perhaps they weren’t all that bad and the woman was home a lot more to take him for walks which made him happy. But like all animals, his body started slowing down and one day, after he had been on vacation at a sitter’s house while the family went on another trip where he couldn’t go, he got sick but he didn’t tell anyone. When the family came home, he was very ill and he couldn’t hide it any longer so the man and woman took him to the vet and after a while he got a little better. He had new food he didn’t like and pills to take but he felt well enough to go for walks with his family again. They even took him along on their next trip where he could explore a new grassy backyard and watch the deer outside the window. But he wasn’t the same and the hilly mountains were hard on his heart and legs and he had to go to a strange hospital twice but the man and woman stayed with him. Eventually they went back home and although he was very tired, he was very happy to be in his own backyard. The next few weeks he got used to the bi-weekly vet appointments where they poked him and took x-rays but afterwards he felt a whole lot better so he didn’t complain. He still made it up the stairs every night to sleep in his place beside their bed. Jake trotted out to the van but the man said, “Potty first.” So off they went to the grassy patch and the next thing Jake knew, he was floating away and the man was crying. Jake followed him back into the vet where everyone seemed sad and quiet. Eventually the man went home and Jake followed where the whole family was crying. He tried to tell them not to be sad, he would wait for them, but they couldn’t hear him and eventually he fell asleep in the backyard under the warm sun with his favourite tennis ball beside him. “Where are we going?” Jake asked sniffing this cat who seemed familiar. “But they’re so sad. I can’t leave.” Jake said. “Are you sure?” Jake asked lifting his ears remembering the cat who would sniff his nose and then run away. Jake pushed himself up expecting the usual strained effort but realized his body felt better. There was no discomfort and his legs didn’t creak. The idea of a good swim was a pleasant one. “Yes.” Wilhelm said impatient to get going. So into the blue sky they both flew without a backward glance. 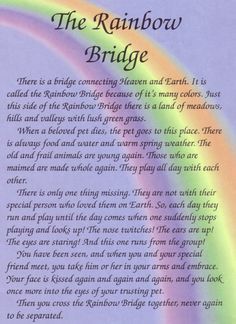 Over the marshmallow clouds to the rainbow bridge where a shimmering lake, piles of treats and soft beds await them. This is the place where they will wait until we are able to join them. A walk on a spring day. Another weekend passes by in a flurry of activity. It seems spring brings out everyone with invites for coffee on the patio to drinks at a favourite restaurant. Mingled with the exuberance of our kids itching to dig up worms and plant jewels in the hope a splendidly brilliant jewelled plant will emerge from their muddy pots, it is a time of renewal and yes (insert sigh), spring cleaning. However, I put all of that on hold this past friday afternoon wanting to enjoy the sunshine and lack of planned activities. I endeavoured to take the kids plus Jake, the dog, on an inaugural walk around the block. The rarity of nice weather has meant our poor yellow lab has been regulated to quick walks in between kid stuff or the backyard with a few good walks a week thrown in by a paid dog walker. This mom just was unable to face taking my crew on a walk while ensuring my old guy did not clip one with his leash while holding umbrellas as it poured around us. Deciding that as the nice weather continued and I felt safe we were finally out of the clutches of old man winter, I did not look for another dog walker when our current one took on a full time job and was unable to continue helping out. I felt confident in my abilities that if the weather was pleasant, I could handle a walk with kids plus dog. After a busy week full of after-school activities, I looked forward to Friday already planning a walk after enjoying snack time out on our patio. My three munchkins, squeezing their knees under the too small toddler table as we await the arrival of our new patio set, were munching on cookies and apples. After their little tummies were satisfied, we forged ahead. First mistake. Do not let a five year old or seven year old decide to take their “vehicle” of choice unless you are very confident they will ride, scoot etc. the whole way. Giving them a chance, I forewarned them that watching a runaway toddler while trying to hold Jake meant I could not help with their vehicles. They were responsible for them. Promises were given. Helmets were securely strapped into place and we were off. One on a bike. One on a scooter. One being pushed in an orange “drive-drive” car that we inherited from a friendly neighbour. One on leash excited to be with his “pack” and sniffing all the wonderful smells in our front yard. Forty-five minutes later, we turned the corner back onto our street from a simple walk around the small block. (Typically this is a ten-minute walk.) Elizabeth was walking her bike having decided she had enough riding. Audrey was pushing Jacob in the car the best she could having to stop every few feet and move it off the lawn she had pushed it onto. I was carrying a scooter while trying to pick up dog poop. What a sight we must have been for the neighbours. The last one hundred feet to our blessed driveway were spent coaxing all the kids to keep going while trying to tell Jacob, who had enough of sitting, not to run across the street. As I put all the vehicles away in our full garage, my brood, Jake included, ran crazily into the backyard to drink water claiming all to be “quenched with thirst.” After checking to ensure all were safely playing and Jake was lazily rolling in the newly seeded grass, I started dinner in our kitchen wondering when Mr. L would be home and cocktail hour would start. 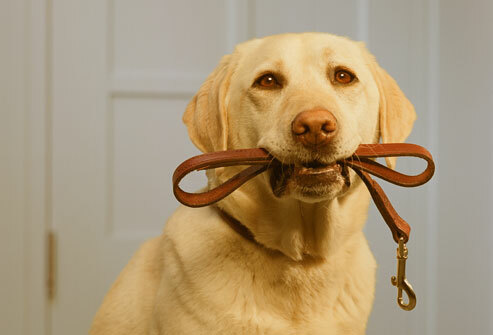 I wonder how long it will take to find a new dog walker?